Hoi An, Vietnam - May 10, 2018: Night river Thu Bon view with floating lanterns and boats. Hoi An, once known as Faifo. Hoian is a city in Vietnam and noted as a UNESCO World Heritage Site. 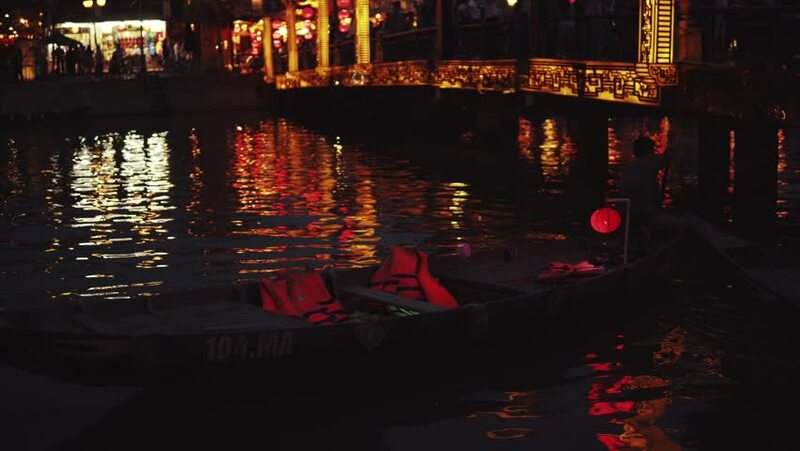 4k00:20Hoi An, Vietnam - May 10, 2018: Night river Thu Bon view with floating lanterns and boats. Hoi An, once known as Faifo. Hoian is a city in Vietnam and noted as a UNESCO World Heritage Site.